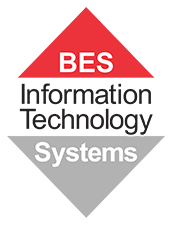 BES IT Systems is a WatchGuard partner in Brisbane, Queensland. We can offer a full range of WatchGuard's products and solutions. For over 20 years, WatchGuard has pioneered cutting-edge cyber security technology and delivered it as easy-to-deploy and easy-to-manage solutions. With industry-leading network security, secure Wi-Fi, multi-factor authentication, and network intelligence products and services, WatchGuard enables more than 80,000 small and midsize enterprises from around the globe to protect their most important assets. In a world where the cyber security landscape is constantly evolving, and new threats emerge each day, WatchGuard makes enterprise-grade cyber security technology accessible for every company. Today’s business ecosystem relies on Internet access across multiple types of IT environments and locations, each presenting their own challenges in cyber security. Whether you are protecting physical or virtual infrastructures, the network, endpoints, or Wi-Fi environments in one location or spanning multiple offices, WatchGuard enables you to effectively manage security across your entire business. We can assist your business with all WatchGuard solutions and products! Request a call back by leaving your details and our local Brisbane-based experts will return your call within 3 business hours.